Gel nail polish colour 233 Flashy Red is a beautiful glitter variety. The deep red glitters create a festive finish for your nails and it can also perfectly be used as Touch Up! 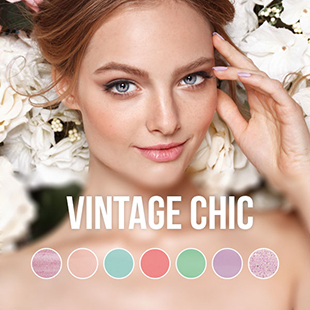 Rebellion is a new gel nail polish collection created by Pink Gellac that contains 7 shiny, sparkling glitter colours. 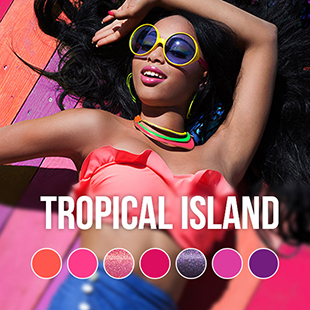 These colours are extra made to stand out at parties! 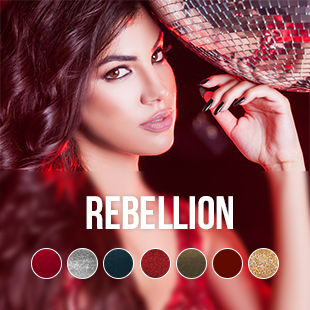 The Rebellion is a luxury nail polish that can be used frequently to make your nail glamorous and nice!